COMMUNITY MEETING: The Little Village Community Council and the Helping Others Progress Economically (H.O.P.E.) organizations are hosting a Little Village community meeting. The meeting is scheduled for Tuesday, December 10, 2013 from 6 p.m. to 8 p.m. at Good Shepherd Church, 2735 S. Kolin Ave. for the purpose of hearing from Ald. Ricardo Munoz [22nd Ward]. Ald. Munoz has been invited to speak with residents and business owners on the housing project at 26th St. & Kostner Ave. Residents have several unanswered questions regarding the project in Little Village and it is our hope to get those questions answered. The residents of the Little Village community have a right to know what is happening in their Ward; and Ald. Munoz is obligated to share his ideas and plans with residents. Residents of Little Village mark your calendar and tell your neighbors. FUND-RAISER: Aldermen George Cardenas [12th Ward] held a fund-raiser at John Barleycorn Restaurant in downtown Chicago on Thursday, Nov. 21, 2013. Special guests were ROTC cadets from Farragut Career Academy, who recently won a contest on a good green environmental product. “We want these young students to understand the value of a good and safe environment,” said Ald. Cardenas. Mayor Rahm Emanuel and Gov. Pat Quinn were invited guests. The event was festive with plenty of food and refreshments. NEW PARK: Mayor Rahm Emanuel and Ald. George Cardenas held a “Groundbreaking” ceremony on Sunday, Nov. 24, 2013 for a new Little Village Park at 31st St. & Albany Ave. THE PARK, located on the east side of Little Village in the 12th Ward, features a baseball and soccer field, a skate park, a basketball court and other amenities. VETERAN DAY: Members of the Manuel Perez Jr. American Legion Post 1017 held its annual Veteran’s Day ceremony Monday, Nov. 11, 2013 at the Manuel Perez Jr. Memorial Plaza, 26th St. & Kolin Ave. The rainy day didn’t stop the veterans or guests from paying homage to fallen comrades. Each year veterans gather to salute on 11-11-11 [November, the 11th month of the year; on the 11th Day of the month and at 11:00 o’clock a.m. on Veteran's day] to face east, at attention, and salute while army taps are playing. POST COMMANDER Joe Ramirez made brief remarks and presented awards to special guests. State Rep. Lisa Hernandez was the only public official at the ceremony. Recognition was given to Benito Morales, 90, an Army World War II veteran. After the ceremony the veterans and guests enjoyed tamales and refreshments at the America Legion Post Headquarters, 27th St. & Hamlin Ave.
MOVIE TRAILER: Watch the Cesar Chavez; An American Hero movie trailer, scheduled to be released 2014, on YouTube. Actor Michael Pena, 37, portrays Cesar Chavez as an unrelenting union organizer for the farm workers. It was Chavez and Dolores Huerta’s leadership that organized the United Farm Workers Union of America. 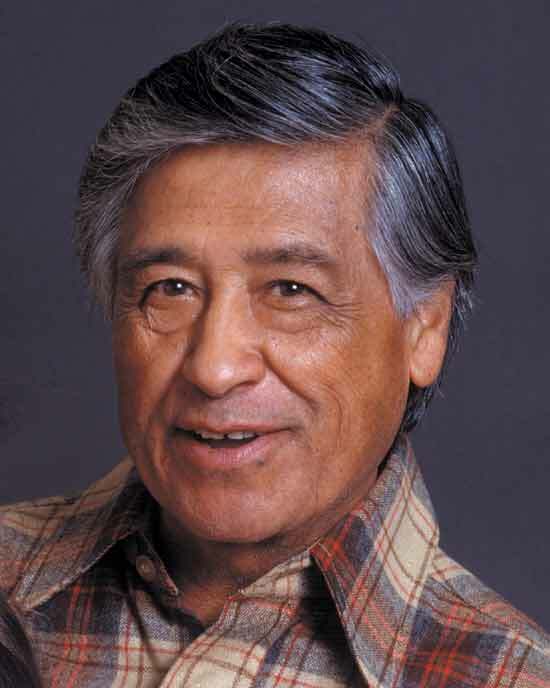 Actor Pena was born in Chicago and graduated from Hubbard High School. 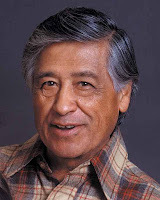 Pena’s father was from Villa Purificacion, Jalisco and his mother was from Charcas, San Luis Potosi, Mexico. I highly recommend seeing this movie next year.